What is the biggest detriment to a project being completed on time and on budget? Many solar companies are just project managers and sales and marketing operations. They outsource install labor to one company, the engineering and design to another company, the electrical portion to yet another, ultimately putting the return of your investment at risk and at the mercy of multiple subcontractor schedules. Should there be system performance issues, these companies play the blame game pointing the finger at each other, leaving you with system performance issues unresolved. With Beaumont Solar it’s one phone call and one-stop shopping. Solar system implementation is critical to maximizing your return. It requires a cohesive approach for achieving financial benefits and system performance. All phases must be coordinated with the various disciplines involved throughout every phase in order to deploy the highest quality system, in one controlled process. 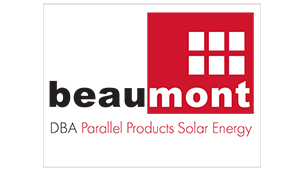 With Beaumont Solar, You Get the Power of Vertical Integration. We spearhead the entire project in house and back it with our 100 years of experience.